YOUR FIRST ORDER IS FREE! Have An Odd Filter Size? No Problem - We've Got You Covered! Forget to change your air filters? FilterEasy makes remembering incredibly simple. Take this off your to-do list forever. Each delivery contains the exact number of filters your home needs, in all the right sizes. Each delivery acts as a physical reminder that it's time to change your filters. Plus, FREE shipping. No long-term commitment. Pause, modify or cancel your account anytime to fit your needs. No matter what size you need, we've got you covered. Love that I do not have to go shopping to try to find what I want and need! The service is great. Don't have to remember to pick up filters every few months. The only problem encountered has been crushed corners on the filters when the box has been damaged in shipping. I wish I had this service years ago. Great way to keep up with the maintenance of my heating and cooling system. I highly recommend the service. Great price. I love that I know when the box arrives it is time to replace my filter. No need to remember or make a trip to the store to pickup filters. The service is great! Every time a shipment comes we know it's time to change them. We don't have to remember and then go searching for the sizes for our house. It's so convenient! I love getting the filters in the mail. Not having to worry about going and buying them. They are great quality filters! I really love this! We don't have to think to replace anything, they come and we know it's time! Easy to use, relable, and affordable. We love the convenience of filter easy. We never need to worry when the last time we changed the filter and the box makes it easy to dispose of the old filter. I really love getting my easy filter every month. I now remember to change my filter - upon its arrival each month!!!! It is top quality! I love the convenience of having my filters delivered to my door - I change my filters every 2 to 3 weeks. I have two cats and an asthmatic daughter, these filters catch it all! Timely and quality filter arrives and is billed at an interval I set. Precisely sized filter always arrives on schedule and packed minimally but effectively. Great service. Great service. Makes it easy to remember to change your filter on a regular basis. 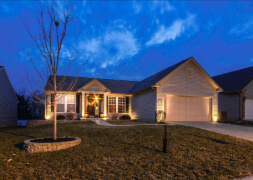 Is a Home Energy Audit Right for You? Get your energy audits! Come get your energy audits! 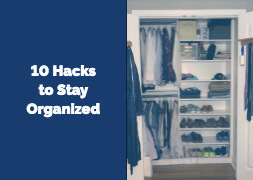 Check out these 10 life hacks that will keep you more organized with minimal effort. 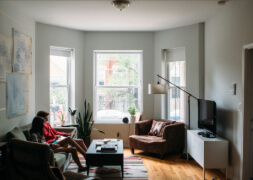 How Can I Easily Improve My Home's Indoor Air Quality? Yes, yes, we know we keep harping on pollen. That's partly because so many people are affected by allergies and partly because, in the south, the pollen is terrible! Like really bad. 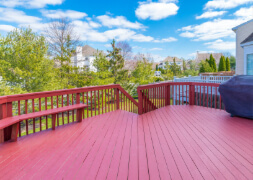 With spring here, it's time to touch up your deck and ready it for some relaxing time outside.